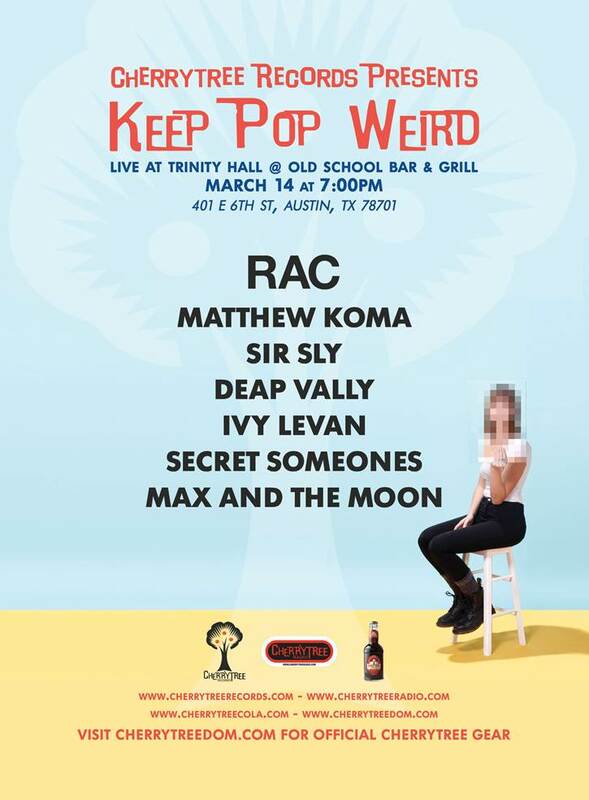 Cherrytree Records has announced details on their “Keep Pop Weird” party at SXSW 2014! The record label hasn’t said much other than the impressive lineup and that the event is official and requires either a SXSW badge or wristband. SXSW attendees can look forward to shows from RAC, Deap Vally, Sir Sly, Max And The Moon, Matthew Koma, and many more – read on for more party details and the full lineup! Get there early if you want to be sure you have a spot – as with most of these open concerts, entrance will likely be subject to capacity!